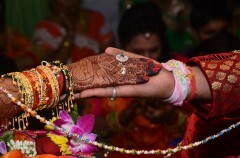 Maharashtra government introduces an online process for getting Marriage Certificate. Prenuptial Agreement recommended by legal experts to prevent disputes during divorce. Ketover & Associates is pleased to announce the law firm is celebrating its 20th anniversary. The practice specializes in criminal, divorce, family, personal injury, and business law. DeTommaso Law Group is pleased to announce the firm will move into a new, upgraded office. The family law practice specializes in providing clients with a wide variety of legal options to assist them with their divorce cases, custody issues and more. Leading healthcare clinic offers free consultation services for Cold Laser Stop Smoking Therapy. Chicago, Illinois, October 25, 2016: The law firm of Harrison & Held is pleased to announce partner and divorce lawyer Michael Craven gave an informative speech at the September meeting of the Greater North Shore Estate & Financial Planning Council.